With over two million people living below the poverty line in Australia, including over half a million children, your donation allows the St Vincent de Paul Society to provide more than immediate help, it provides something much more valuable – the opportunity of a better life. Regular financial donations play a crucial role in our ability to help 1.3 million people each year. Vinnies Winter Appeal - This Winter Vinnies Appeal will provide emergency relief to people at risk and experiencing homelessness. 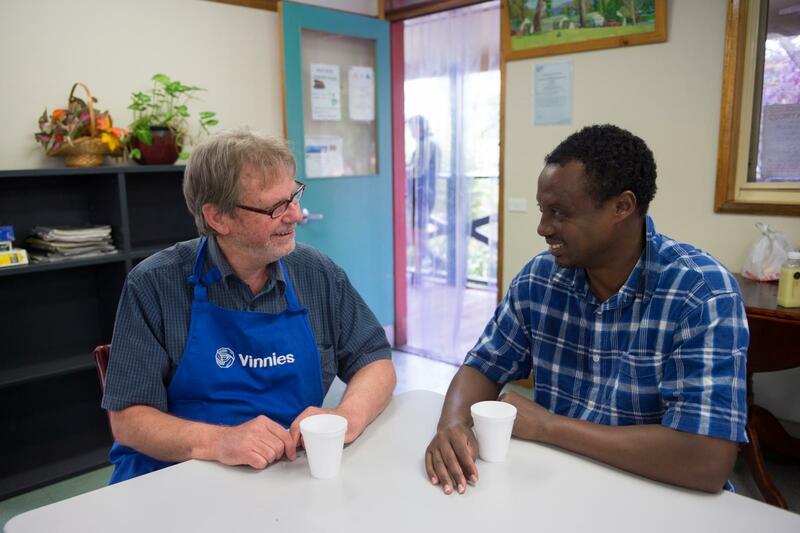 Your donation will help our Vinnies volunteers to rebuild lives. To make a donation or find out more click here. Vinnies QLD Bushfire Appeal - With as many as 138 blazes threatening life and property, your donation will help us give a helping hand to those affected by the Queensland bushfires. Vinnies NSW Drought Appeal - With 99% of New South Wales affected by drought, Vinnies has launched its NSW Drought Appeal to raise vital funds for rural communities in need. Vinnies Christmas Appeal - Vinnies continues to rebuild strength in the men and women experiencing disadvantage this Christmas. To make a donation or to find out more click here. Vinnies CEO Sleepout - As our headline event the Vinnies CEO Sleepout aims to get some of Australia’s highest profile business people involved in raising funds for Vinnies and raising awareness about homelessness. Vinnies Community Sleepouts - You don’t have to be in business to hold a sleepout – anyone can hold a Community Sleepout. Funds raised through the Sleepout directly assist people experiencing homelessness and fund new projects. Vinnies School Sleepouts - They’re ideally suited for schools seeking ways to raise social justice issues among students. Bequests - A bequest to the Society makes lasting positive change. It enables you to create a legacy of love and care for those who most need assistance and it will continue your life’s aims beyond your own lifetime. Thanks to new technology charity donations can now be made in a variety of ways. Online donations are an increasingly popular and simple method of giving back.